Welcome to Part 2 of Everything MSC Magnifica. 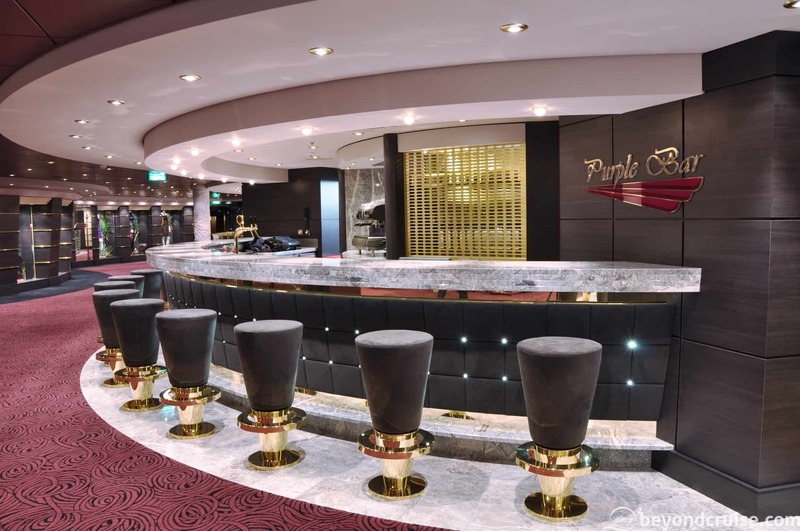 In this guide, we’ll cover all the bars, restaurants and places to eat and drink onboard the ship! (If you missed it, our entire 14-night live-blog from our cruise is available to catch up on!). 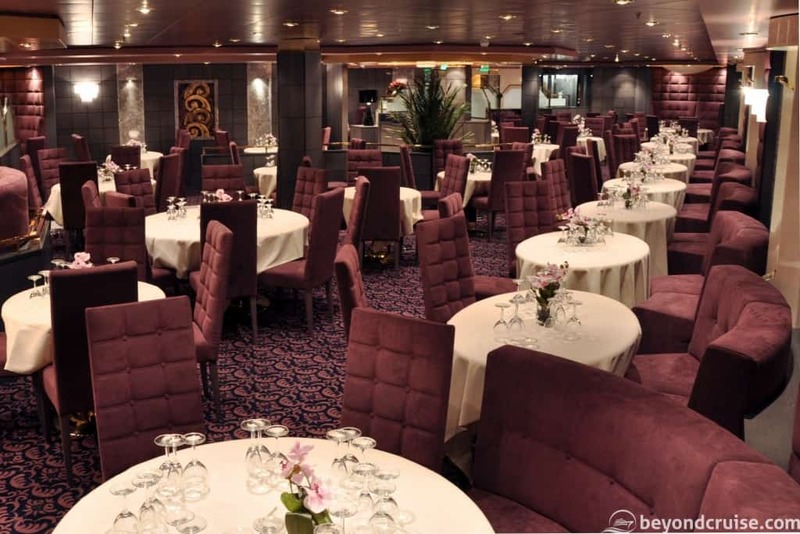 The L’Edera Restaurant is located at the very rear of the ship and is the entire width of the ship. 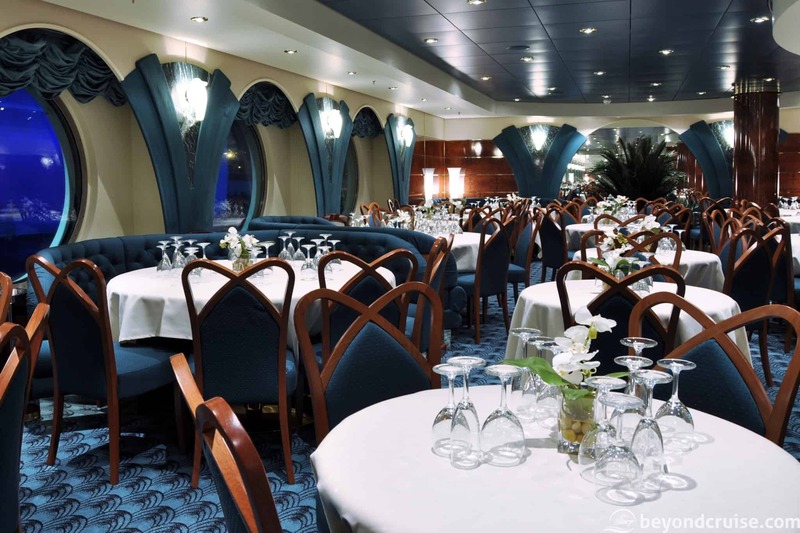 The restaurant differs from traditional cruise ship main dining rooms by offering a buffet selection during breakfast and lunch. You can order courses to your table and also use the buffet too if you wish (for example, for dessert). It is also used for the set evening meals (1st and 2nd sitting). This bar is split into a left hand and right-hand side. The right-hand side is the gluten-free side. If you are unsure which side you are at, just ask one of the staff behind the bar! It serves light pastries in the morning (croissants, pain au chocolat, etc), speciality coffees and also a range of soft and alcoholic drinks are available, including cocktails. 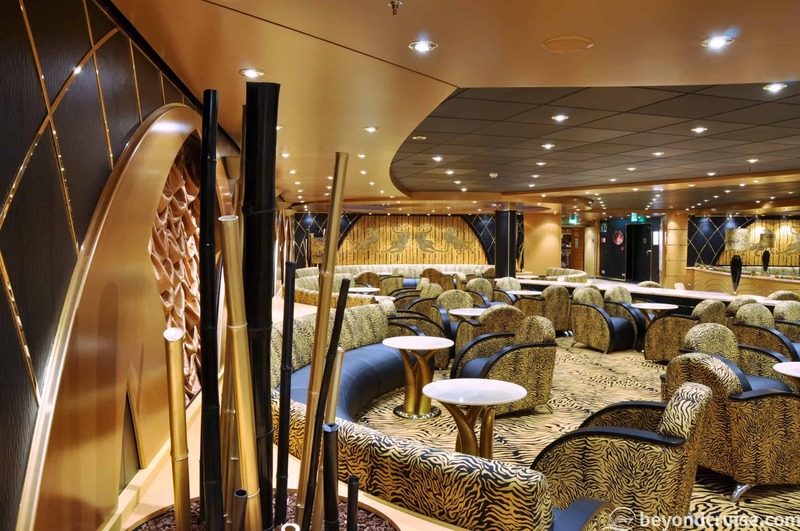 The Tiger Bar stretches the entire width of the ship and is accessible via a Deck 6 at either end. 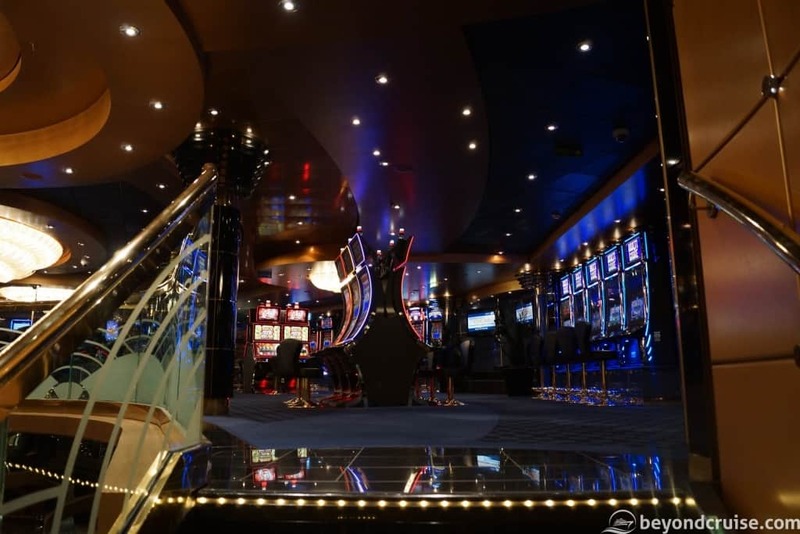 Additionally, you can use the staircase from the casino on Deck 7 too. This is the closest bar to the Royal Theatre and serves soft drinks, alcoholic drinks, cocktails and speciality coffees. This area also offers live music/acts most evenings and there are daytime activities sometimes held in here too. The Topazio Bar is located next to the Tiger Bar and has one entrance into it from there. It does have two exit entrances if you are walking to the rear of the ship. This bar offers some activities during the day and live music in the evening. Speciality coffees, soft and alcoholic drinks are available here. Additionally, premium MSC Molecular cocktails are also available from this bar. The outer ring of the bar features several shops, including the MSC Logo Shop and The Mini Mall. The bar is on one side of the ship and offers table service to a number of tables in the surrounding area. The Purple Bar serves speciality coffees, soft and alcoholic drinks and cocktails. This is the nearest bar to the Quattro Venti restaurant. 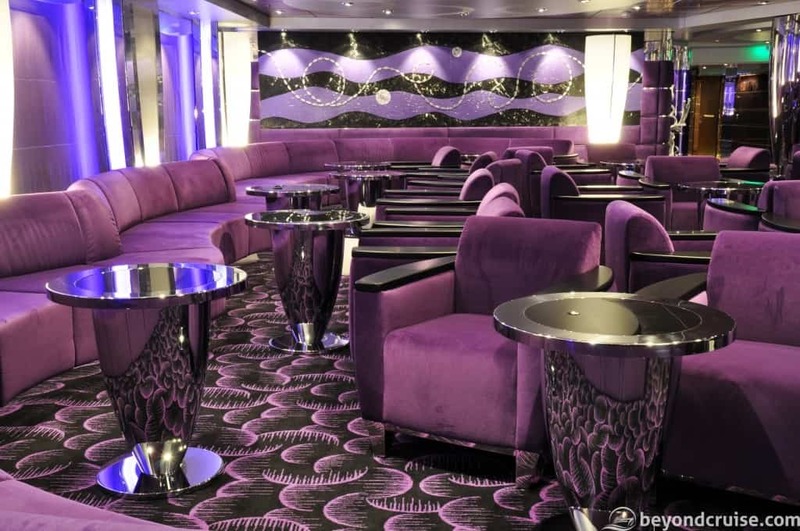 The Ruby Bar is on the opposite side of the ship from the Purple Bar and offers speciality coffees, soft and alcoholic drinks and cocktails. This is also the nearest bar to the Quattro Venti restaurant. There is table service here and there are more seats in this bar than at the Purple Bar. The Quattro Venti restaurant is only open for evening meals. 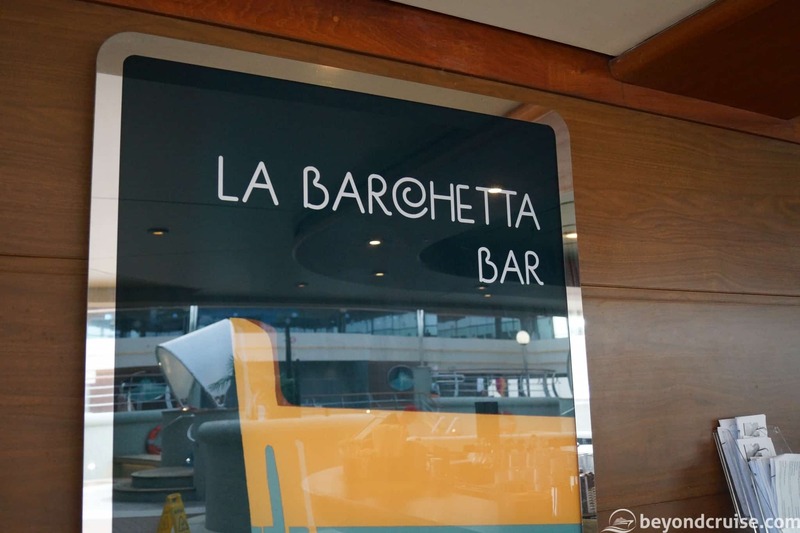 First and second sitting passengers can be allocated this restaurant or the L’Edera Restaurant on the deck below. As the ship generally has a large mix of nationalities onboard, they tend to group people that speak the same language in each restaurant and put waiting staff that are more fluent in those languages in the corresponding restaurant too. 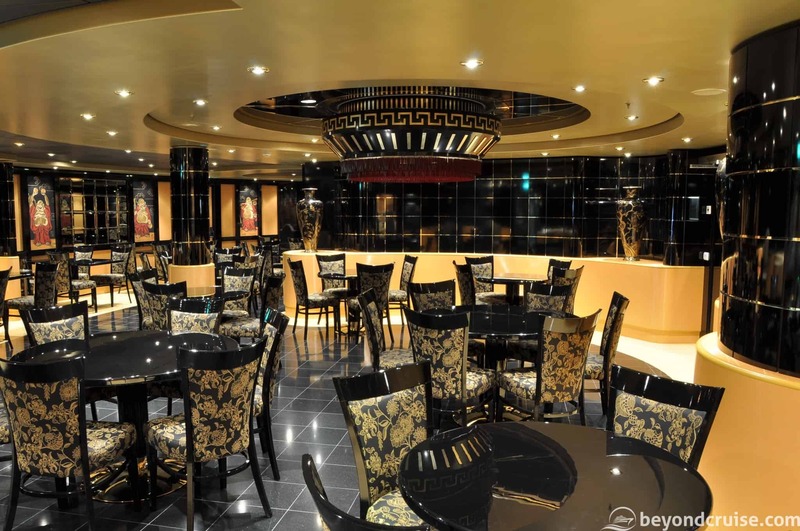 MSC Aurea Spa guests who can dine with myChoice dining will also dine in this restaurant. They are free to turn up and dine when they wish between 18:00-21:00 nightly. Typical opening hours: Closed port days until at sea, From 10:00 on sea days. 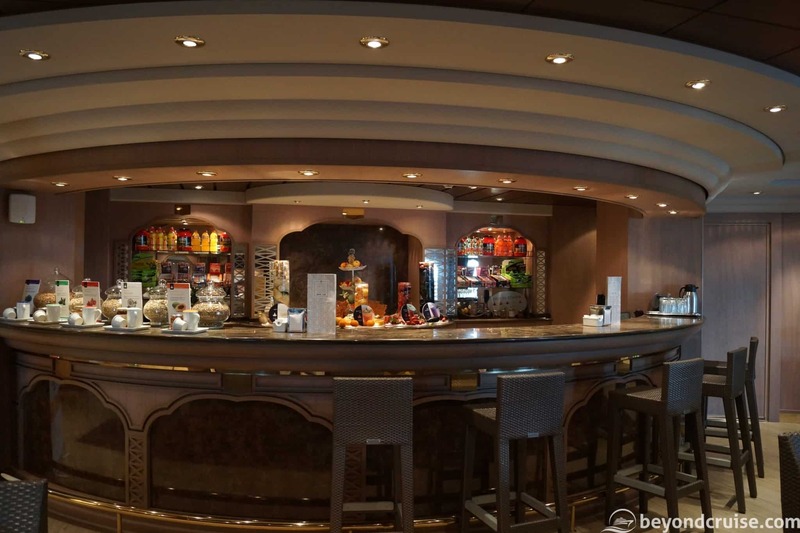 This bar is near the front of the ship and offers a staircase directly down to the Tiger Bar on Deck 6. The casino bar offers speciality coffees, soft and alcoholic drinks and some cocktails. Table service is available here and smoking is allowed on one side of the casino in a lobby type area. Typical opening hours: Lunch from 12:00-15:00, Evening meal from 18:00-0:00. This restaurant offers a mixture of Asian-fusion food choices from China, Japan and Thailand. Pricing is a la carte and although it is suggested you book in advance (it only has 16 tables) walk-in reservations are possible some days. Passengers may mix and match food from different regions and there is also a tasting menu available. 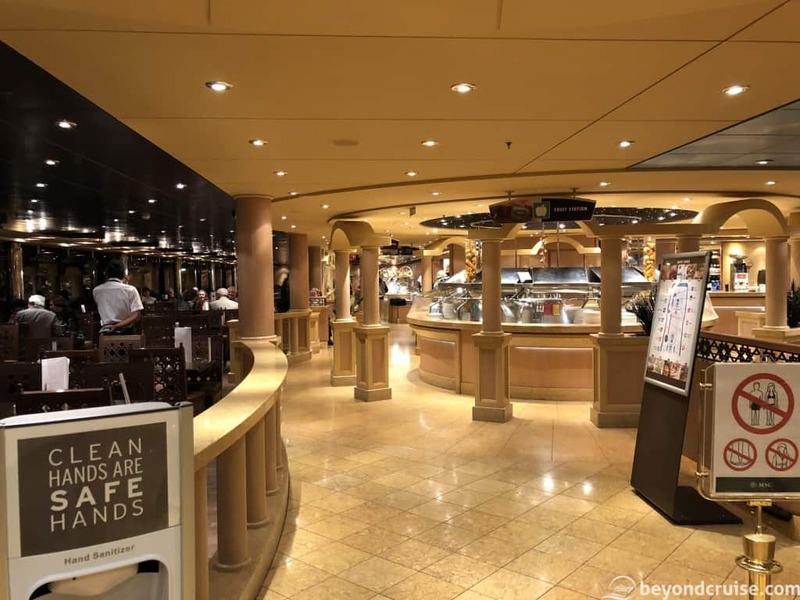 Pricing is reasonable and it is the only speciality restaurant onboard MSC Magnifica. 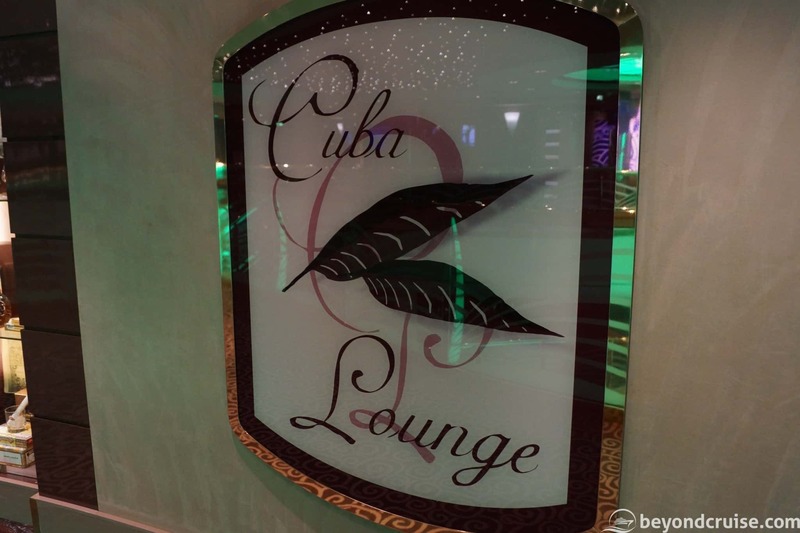 This lounge is for cigar and cigarette smokers generally. It has a bar within it, that offers soft and alcoholic drinks, but no cocktails. The room has several large seating options available and many ashtrays. It is accessed by a door on the left of the ship as you walk towards the rear. Typical opening hours: Breakfast 6:00-11:30, Lunch Bistro 12:00-14:00, Afternoon snacks 15:00-17:00. The fairly large sports bar is located towards the rear of the ship, but not right at the back. It is situated next to the MSC Photogallery and shop. The bar itself offers soft and alcoholic drinks and many different draught beers. It has many different televisions showing live sports and smaller booths with televisions showing different sports. Additionally, there is a small sports memorabilia section and a large pool table. There is generally a schedule of what sports will be shown each day, this is pinned up at the bar. In the morning, the bar offers light pastries for breakfast (self-serve), at lunch there are sandwiches available (also self-serve) and in the afternoon there are snacks such as cookies and muffins (again, self-serve). This lounge is at the rear and uses the entire width of the ship. It is a used for activities during the day, which may include Zumba/fitness classes and private events. The lounge offers expansive amounts of seating, from large chairs to barstools right at the bar. There is table service available in the evening. The bar serves speciality coffees, soft and alcoholic drinks and cocktails. Additionally, draught beers are available too. In the evening the lounge hosts live shows with audience participation. This bar is located in the MSC Aurea Spa at the front of the ship on Deck 13. This small bar offers healthy juices, protein drinks and soft drinks. There is a small seating area available or seats at the bar. 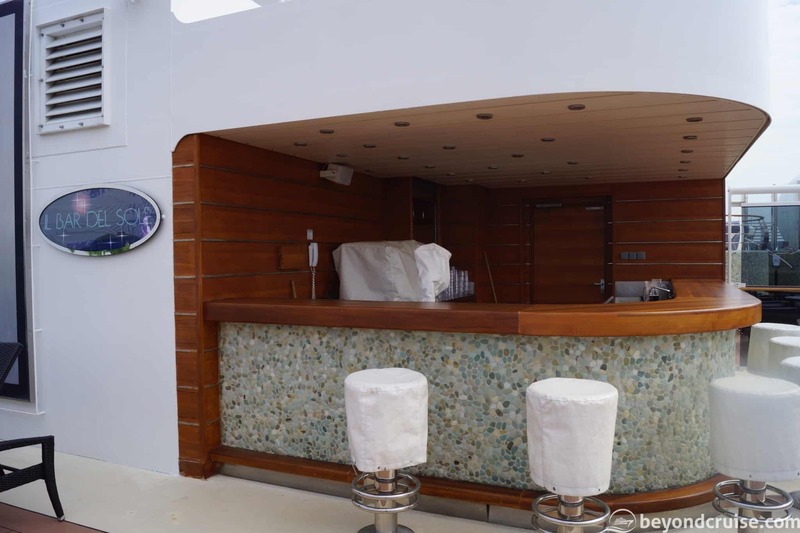 This bar is located outside on Deck 13 opposite the outdoor pool. 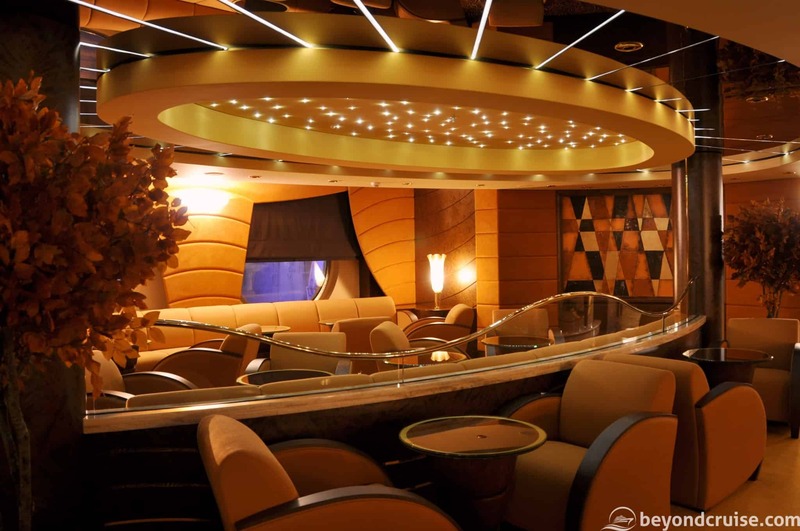 The bar itself is the width of the ship and formed in a semi-circle shape. There are bar stools available if you prefer to sit at the bar or waiters will come and take your order right at your sun-lounger deckchair if you wish. The bar offers speciality coffees, freshly squeezed orange juice, soft and alcoholic drinks and cocktails. This bar is located as you leave the outdoor pool area and head towards the rear of the ship. 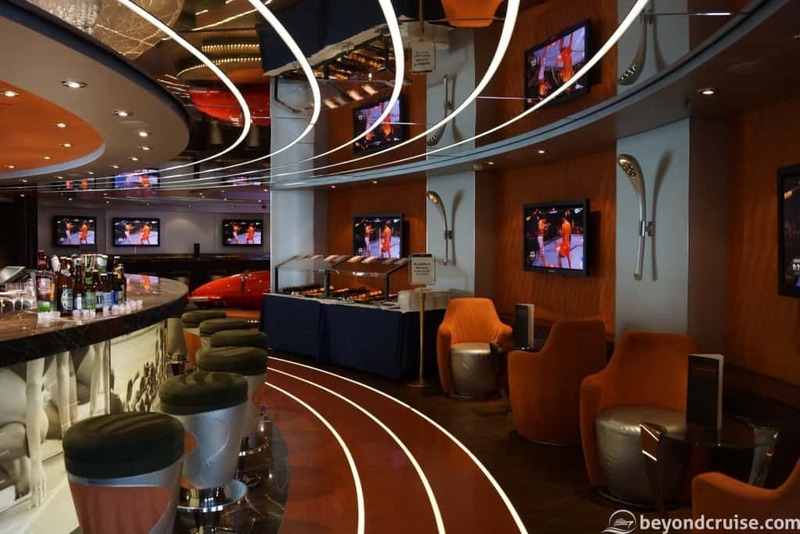 The bar is the width of the ship and faces the indoor pool area. There is seating at the bar or many tables around this deck. 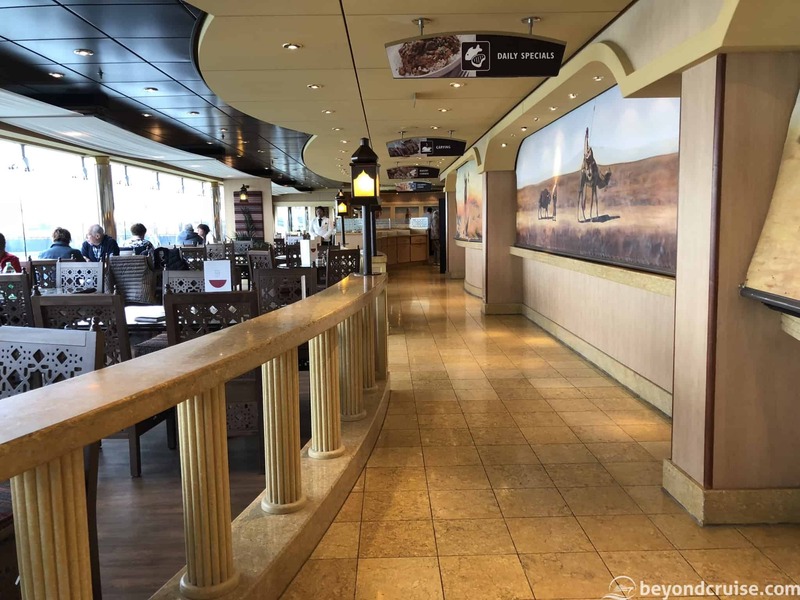 Additionally, there are two small staircases that lead to the upper tier of the indoor pool area (Deck 14) – up here are more tables and waiter service is available at them all. This bar serves speciality coffees, soft and alcoholic drinks, cocktails, shakes, whipped ice-cream, gelato by the scoop, popcorn, crepes and ice-slush drinks. 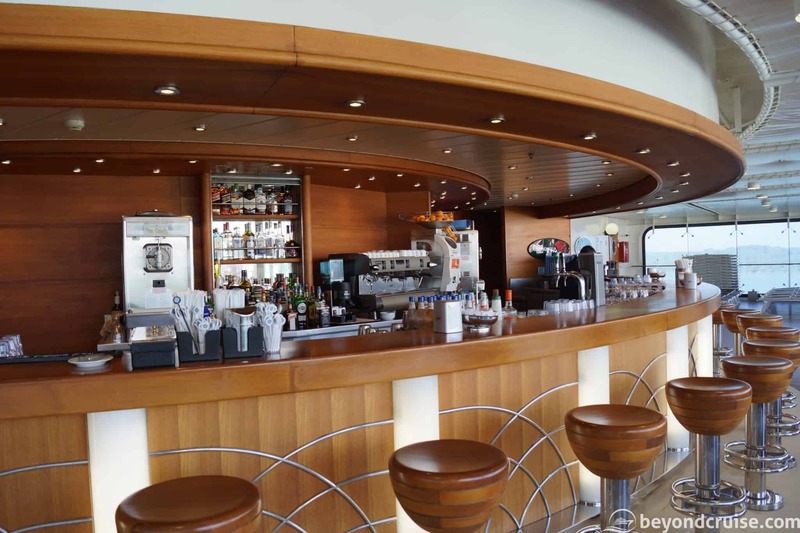 This bar offers the most extensive range of drinks on the ship. Typical opening hours: Early bird breakfast 06:00-06:30, Breakfast 06:30-11:30, Pizzeria 11:30-00:30, Buffet lunch 12:00-16:00, Grill 12:00-17:00, Fruit and Salad Corner 18:00-21:00, Make your own sandwich 16:00-17:00, Afternoon snacks 16:00-17:00, Evening dinner 18:00-21:30. Midnight snacks 00:30-02:00. 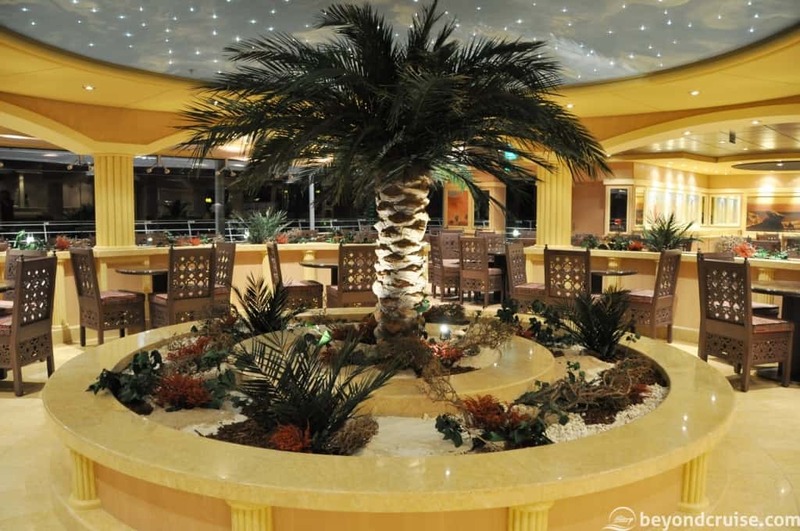 As you leave the indoor pool area and continue heading to the rear of the ship you enter the Sahara Buffet. This has an entrance either side of the ship. As you enter there are hand-cleaning stations available and large maps of the buffet broken down into food sections to help you navigate. The are two large circular areas at the front of the buffet which rotate between offering breakfast products and fresh fruit and/or salad for the rest of the day. Next to them is the bar, this bar offers speciality coffees, soft and alcoholic drinks and draught beers. But no cocktails. There is waiter service available in the entire buffet and you press a button on the table to call a waiter over. As you head further into the buffet both sides are generally mirrored for breakfast, lunch and the evening. With a few exceptions (breakfast has an egg station on the right-hand side, lunch has fresh pizza on the left-hand side and burgers/hotdogs on the right-hand side). There are several juice stations available in the morning only which offer ACE, Orange Juice, Pineapple Juice and Grapefruit juice. There are also cold water stations which also dispense ice if needed – these are available 24/7. There are also coffee and hot water dispensers on both side of the buffet at the front and in the middle. These are stocked with filter coffee, milk, soy milk, hot water (for tea) and numerous different types of tea. These are available 24/7 and there are large clean mugs available next to each station. Above each station in the buffet is signage to help you work out where you need to visit for example “Baked goods”, “Desserts”. The fresh pizza station on the left offers four different types of fresh pizza daily – they are made right in front of you and they are available from 11:30-23:30 daily. The four pizzas generally rotate from a list of twelve different types which you can find in your room service menu. One of the pizzas is generally always plain cheese and tomato. The slices are quite generous! At lunchtime, there is generally a carvery and in the evening too. The meat rotates between beef, pork, turkey and others. There are plenty of two and four-seater tables in the Sahara buffet with many offering window views. Plates and empty glasses are collected by staff. The L’Oasi Buffet restaurant is located right behind the Sahara buffet. You may find at non-busy times it is closed, however, you are allowed to take your food through this restaurant and to the rear of the restaurant which opens up to an entire ship-wide outside covered terrace – a must in warm weathers! This restaurant has larger tables than the Sahara buffet and ideally is suited to large travelling parties/families. This is also where the MSC Kids buffet is located. The L’Oasi Buffet restaurant has its own bar which serves soft and alcoholic drinks, including wines but no cocktails. 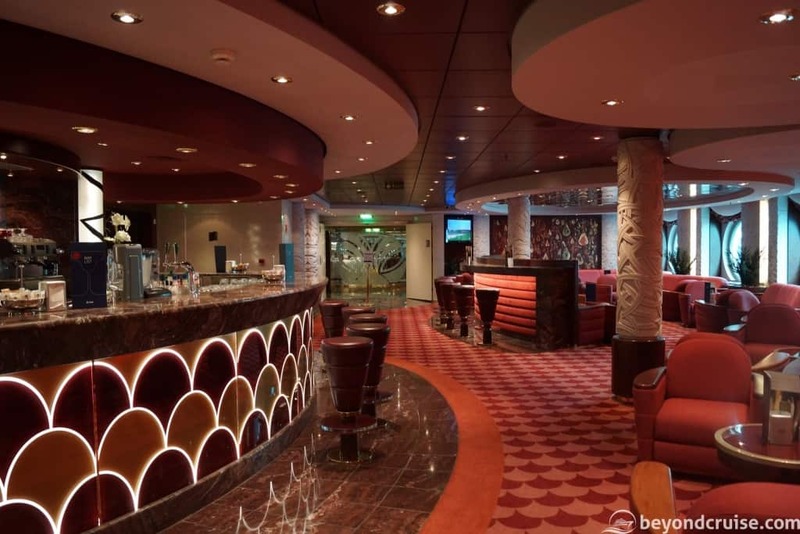 This bar is found at the very rear of the ship and is the entire width of the ship. It offers soft and alcoholic drinks, cocktails and draught beers. There is a large bar area, seating and big dance floor. Generally, this is only open in the late evening and has a live DJ. During the day it isn’t open, but you can play the Ten Pin Bowling for a surcharge (which is located on the left as you enter). This bar is outside and at the front of the ship. 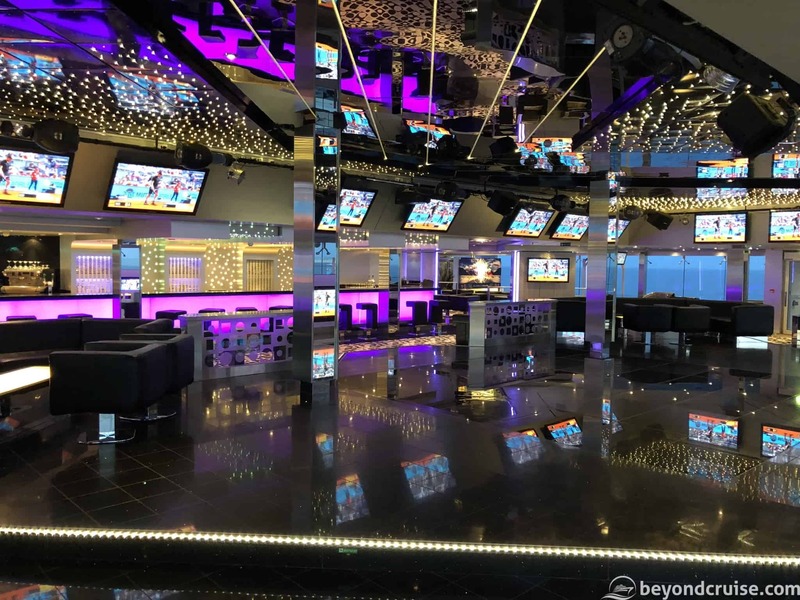 It is a private bar for passengers using Top16 – The exclusive solarium. The bar offers speciality coffees, soft and alcoholic drinks and cocktails. There is waiter service in this area or you can sit at the bar. 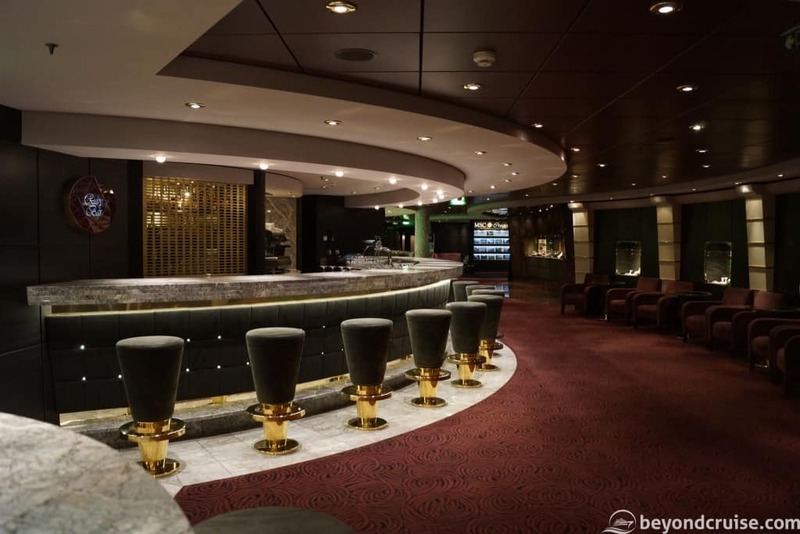 We hope you enjoyed our guide to Eat and Drink onboard MSC Magnifica.